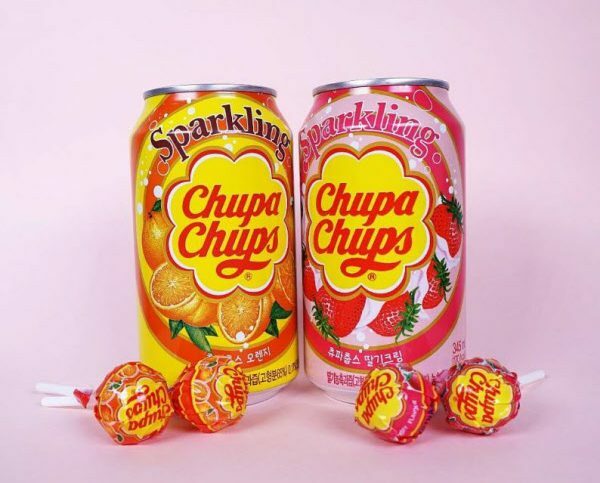 Beloved Spanish lollipop brand Chupa Chups is releasing sparkling sodas that taste just like their signature flavors. On August 10, NamYang Dairy Products announced their collaboration with Chupa Chups to release the first-ever Chupa Chups soft drink. The drink is available in three signature flavors of the lollipop company, namely Strawberry & Cream, Grape, and Orange. By adding real fruit juice, the drink replicates the taste of its original form. In addition, the drink is made healthier with reduced sugar. ‘Sparkling Chupa Chups’ is currently available at local convenient stores for 1,000 KRW (approximately $1).